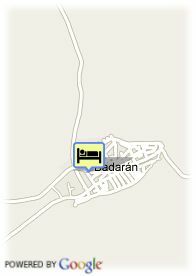 Ctra San Millan, 1, 26310 Badaran, Spanje. Charming hotel in La Rioja. Conde de Badaran Hotel is a modern construction with a rustic style and a wood and slate finish providing it with a unique charm. It is located in the village of Badaran, within San Millan de La Cogolla Valley, one of the most beautiful spots in La Rioja. The waters of Cardenas River cross this natural setting, ideal to relax. The hotel´s restaurant menu offers regional delights, such as Iberian ham and loin, mousse de foie, grilled sirloin steak, sausages, chops or roast lamb, among other dishes. 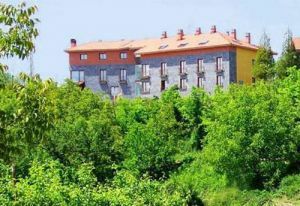 Conde de Badaran Hotel offers activities like enology courses, trekking, routes on foot, by horse or quad, golfing, skiing, haunting, fishing or balloon excursions.